This week was full on with a lot of filming and work. It started with filming some Ayurvedic focused classes for transitioning your vatta, pitta and kapha doshas into the spring. I also filmed a weekly challenge for our membership community on grounding through seasonal transitions. We celebrated Easter by going to clover point, filming some time lapses and making Easter treats. The kite festival is in May. On Easter Sunday I did a ton of spring cleaning and set up my new altar as well. I show you my new altar with my intention for Spring. I cleared my work space as well for clearer boundaries. I have been enjoying my detoxifying and replenishing yoga bath from Scentuals. This dead sea salt and essential oil blend softens your skin and relaxes your muscles. I am in love with this combination of salts and how it both relaxes and replenishes. I cannot get enough of it! On Tuesday evening we went for a walk through the beautiful gardens at Government house and enjoyed all the gorgeous spring flowers and magnolia trees. The mountains were in full view as well. 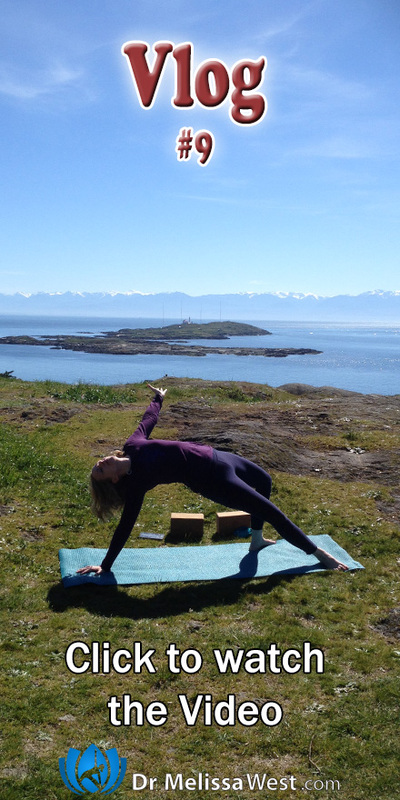 On Wednesday we filmed Namaste Yoga 325 on Generosity on Anderson hill. It was a beautiful warm and sunny day. 😉 On Friday afternoon we took a little walk and picnic and walk through Beacon hill park. We watched some kite surfers at Clover Point. I finished the week celebrating my completion of the grounding through seasonal transitions weekly challenge with the Yoga for Grounding class in our membership community. Thank you for watching. I appreciate your presence here.